Things happen for a reason, I am not sure why I believe this, yet I do. I tried to book a flight from Kathmandu, Nepal to Delhi, India, for some reason there was no flights on Saturday, and I was on a waiting list for Sunday. I have an open ticket with Royal Air Nepal, I purchased in Bangkok, Thailand, therefore, I just need to find a seat, and reserve it. Hard to understand all the problems here, in the end, I think the culture has trouble embracing the idea that you can be honest, make a good product, and it can sell. They believe making dishonest copies of North Face, Lowe Alpine, Mamut or any brand that trips the trigger of the backpackers is a better way of making a living. I believe 99 percent of the products sold in Katmandu are copies. While my frustration levels was peaking on many levels, my friend Chris back in Idaho, USA was staying the course. 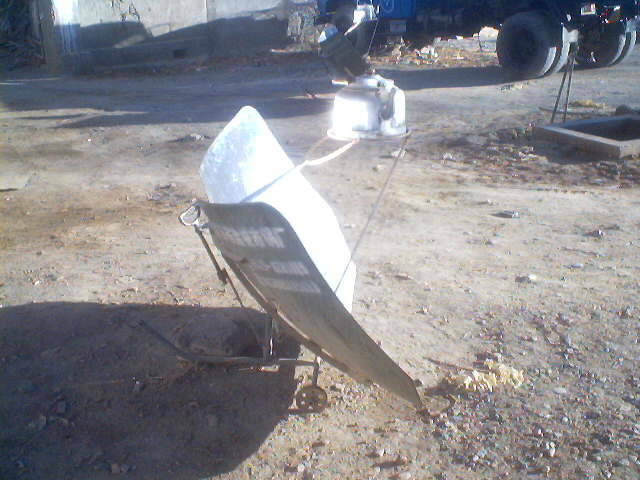 He sent me a couple of emails about Solar Cookers, and reminded me of my own photos. 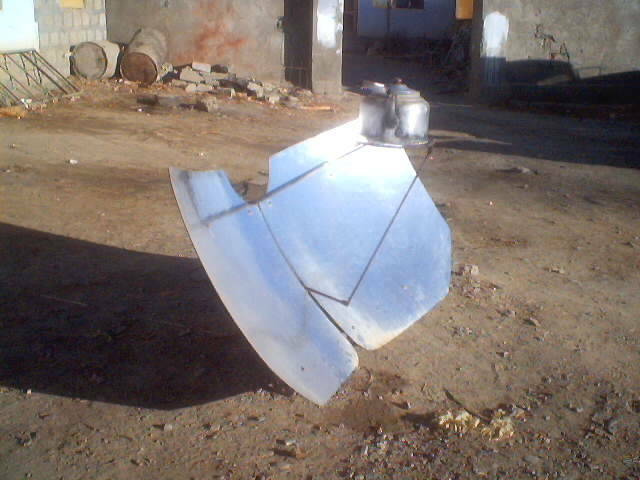 He found a place to buy a solar cooker online. I was delayed enough by my flights, that I reconsidered and am staying long enough to find the solar cooker, if possible. This photo was taken in the city of Gyantse in Tibet China, behind the Friendship Hotel as best I can tell from my own web site. Jeff and me stayed in the Cheap Rooms, while the five Star folks got abused living in the closed Friendship Hotel. We had plenty of blankets and they did not. My personal belief about solar energy is most people promoting it are fools. For the world to utilize solar energy first of all it has to work or function, then it has to be affordable by the masses, not just the enthusiast, who love gadgets like me. Many Hotels in Katmandu have solar heated water systems and on about a 100 percent kill rate, they do not work adequate. The fail to be adequate 100 percent of the time. I was listening to a good understanding of one Hotel about a person taking a shower in the afternoon to utilize the Solar Heated Water. I said, that Hotel has a large Electric water heater also, you can take a shower about anytime, and your problem is you need to wait for 15 gallons of water to be pumped from the first floor to the fifth floor before it will become hot. Therefore, more or less you need to let the water run for about 5 to 10 minutes to get a shower. Therefore you have hot water, however, then cause another problem by wasting water. I have now changed hotels three times; the one he was in has the best system to get a hot shower, and all three of them you need to wait 10 minutes and waste 15 gallons of water to get a shower. Katmandu has a shortage of water in addition to a shortage of electricity; they have few things up to adequate. There are very few things done correctly here, however this is normal in 80 percent of the planet and in my opinion why they do not have any money. Hard to make money selling junk products and junk services, the buyers beat them to death to get a cheap price, because in the end they buy price, not quality. I believe the real truth about Solar Hot Water in Katmandu, is not about giving us Hot Water, it is marketing. They want to say, yes, we have Hot Water; they do not want to give us Hot Water. 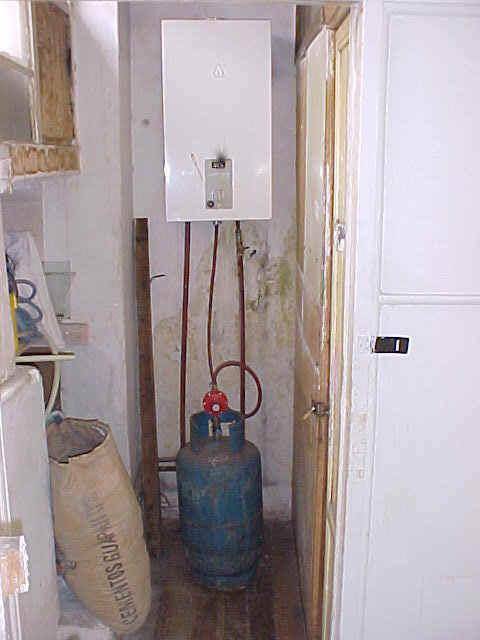 This is an on demand type of Hot Water Heater; they are available in most countries of South and Central America. If you took and combined the Solar Heated water of Nepal and this on demand Electric Hot Water heater of South America, you would have a system that would work closer to adequate. 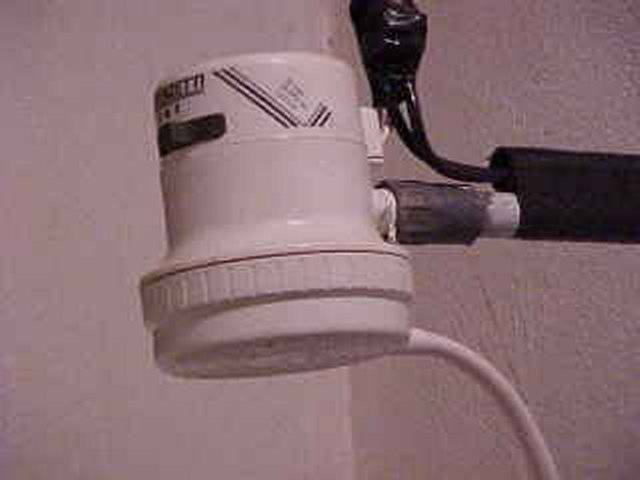 This is an on demand gas water heater in Bogotá, Colombia, works very good in a way, if you have a common shower and not a private shower. I suppose true energy conservation is by having one common shower in the hotel and not having private showers. Then have only dip showers as they utilize about half the water. There is also a model like this, yet is electric and very common in Southeast Asia. This is my filling up my 4-gallon bucket I carry in my bag with hot water to take a dip shower. 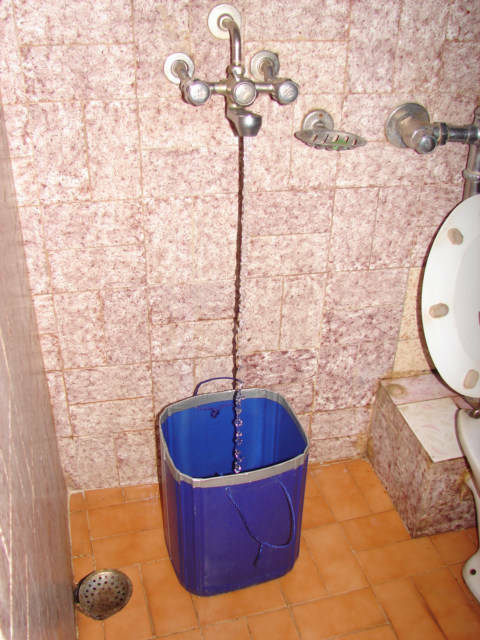 If the Hotel has hot water, I put about one gallon of water in the bucket, then take a shower. If for normal, reasons and they do often, run out of water while I am lathered up, I finish my shower with the water in the bucket or finish by dip. I also can take sub-adequate solar heated water and finish heating with a one-cup coffee cooker purchased in Bolivia. The art of travel is not just toughing it, the art of travel it to use the God given brain you have to adapt. If the NGO of the planet, would combine all these in one location, and had a clue, they could triple the number of tourist in Nepal, and adaptthese sub-adequate services into adequate services. While being very frustrated with Nepal, Chris has reminded me to track down cheap hot water cookers in Katmandu, I am on the trail, and maybe they have a less than 20 dollars cooker, which I could sell at cost and ship to the rest of the planet. This is not rocket science, it is common sense. In truth, everyone is always reinventing the wheel, the technologies exist to live great, people just do not know about these things and utilize in one place. All the answers are scattered all over the planet.